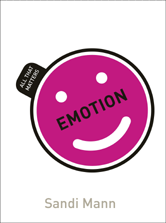 This book will help students and general readers to explore emotion and reach their own conclusions. The fascinating, and sometimes controversial, topics covered include what emotions actually are, how they are portrayed and recognised, why negative emotions arise and how they can be managed, whether emotion can be effectively faked or hidden, and how emotions affect decision-making. 1 What are emotions anyway?